Who said winter is for hibernating indoors? 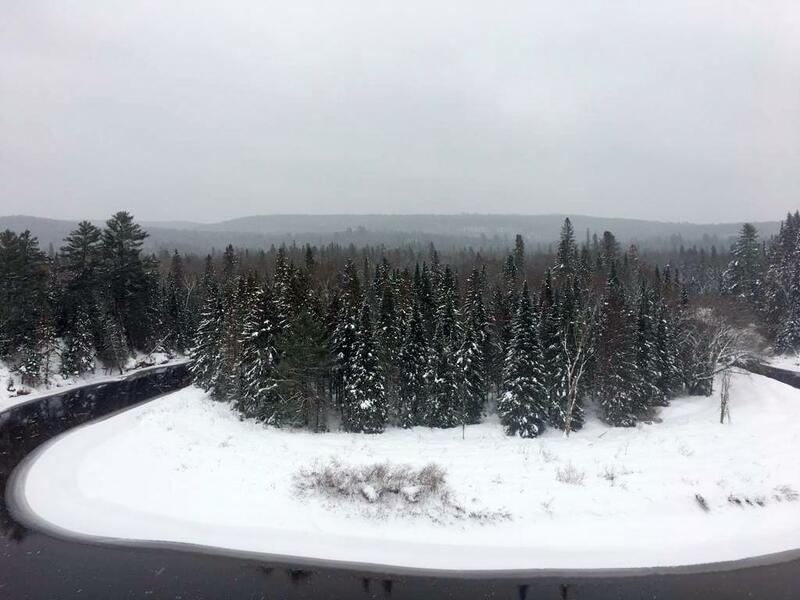 Bundled up in my warmest down-filled winter coat and boots, I took the Parkbus, along with other bloggers, journalists and photographers, to Arrowhead Provincial Park in Hunstville. 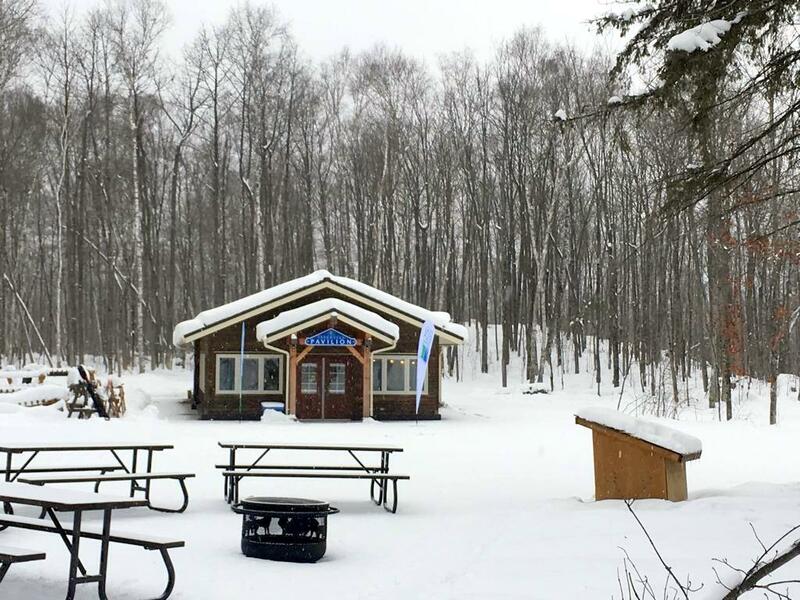 In celebration of Ontario Parks 125th anniversary and the Arrowhead Visitor Centre grand opening, Ontario Parks arranged the tour. 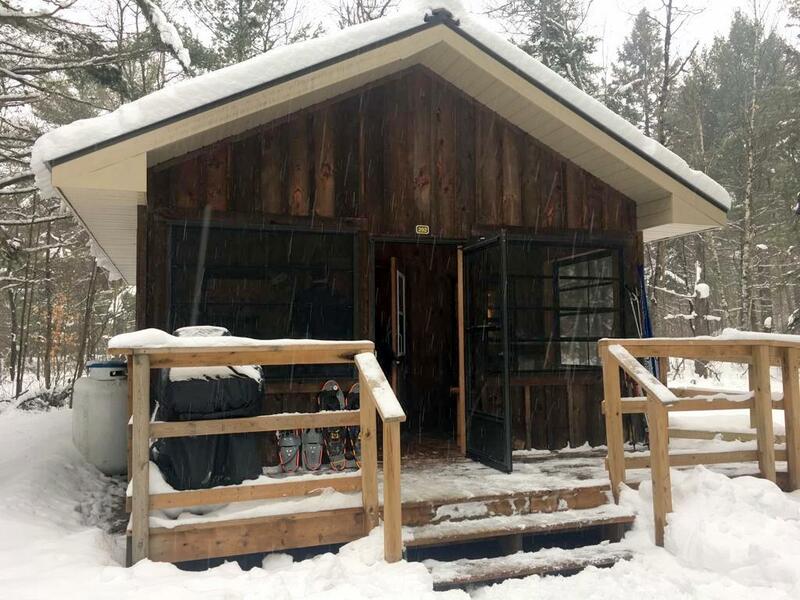 Just over two hours north of Toronto, Arrowhead is the perfect getaway to explore nature and beautiful scenery without venturing out too far away from home. With snowflakes falling as we arrived at Arrowhead, we embarked on a winter wonderland. Hiking a short distance brought us up to the Big Bend lookout point. The panoramic views of the river and trees were breathtaking. I felt like I was in a winter dream. The Big East River takes a sharp turn crashing into the sand and the forces of erosion are changing the landscape. The lookout point has been moved further back several times as the river comes closer to it every year. 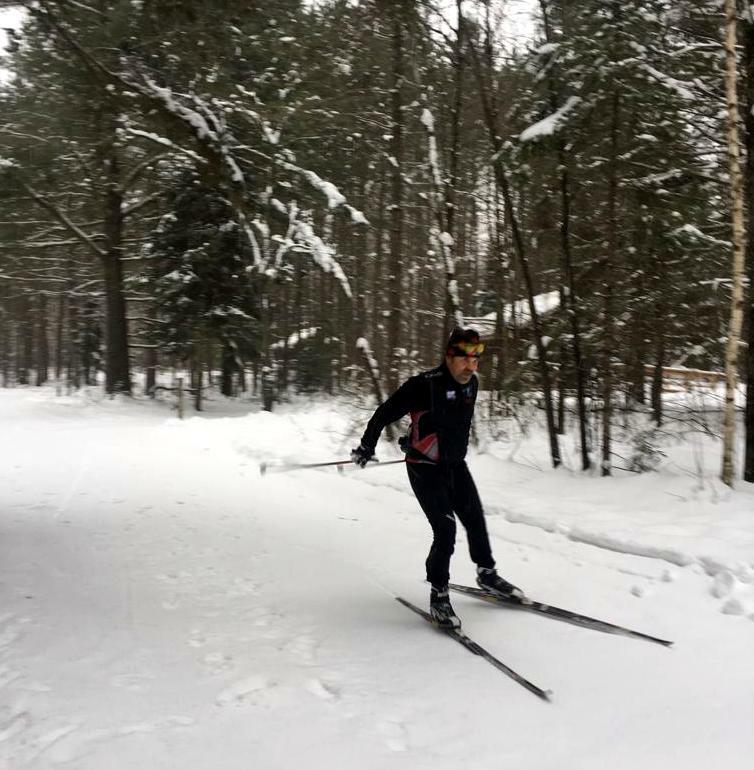 The winter activities available on the trails are hiking, skiing (classic cross-country and skate-skiing), ice skating, snowshoeing, tubing and skijoring. Skijoring is sort of like dog sledding except the person is on skis behind a dog (BYOD – bring your own dog!). Since I don’t have a dog, I had fun trying out the skates and snowshoes. 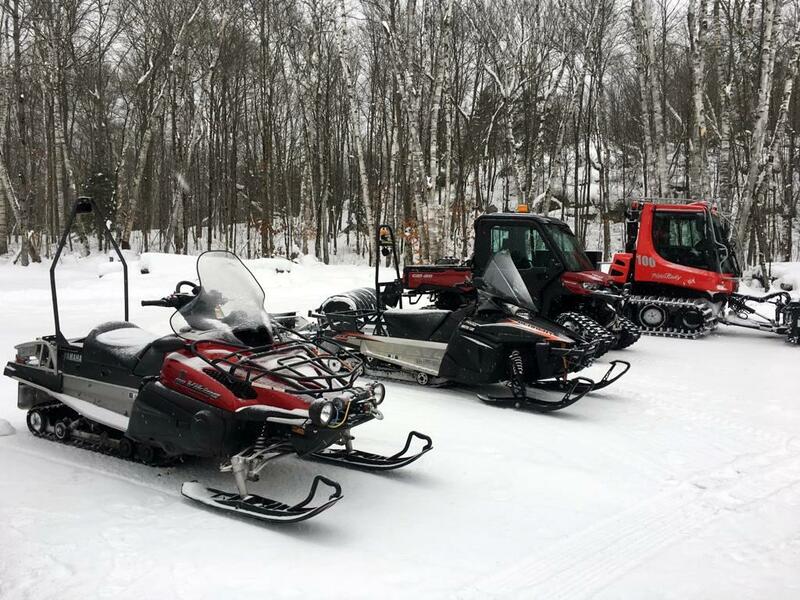 Ski, skate and snowshoe rentals are available. I relaxed in the lounge area lined with tiki torches and warmed up by the outdoor fireplace. 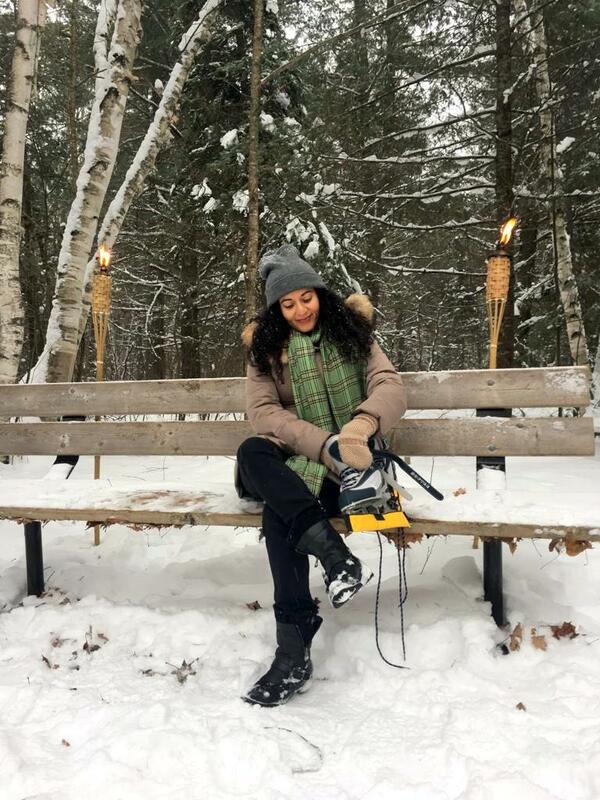 It was refreshing being in the outdoors and connecting with nature, especially in the wintertime. Ontario Parks is advocating mental health by spending time outside – healthy parks healthy people. 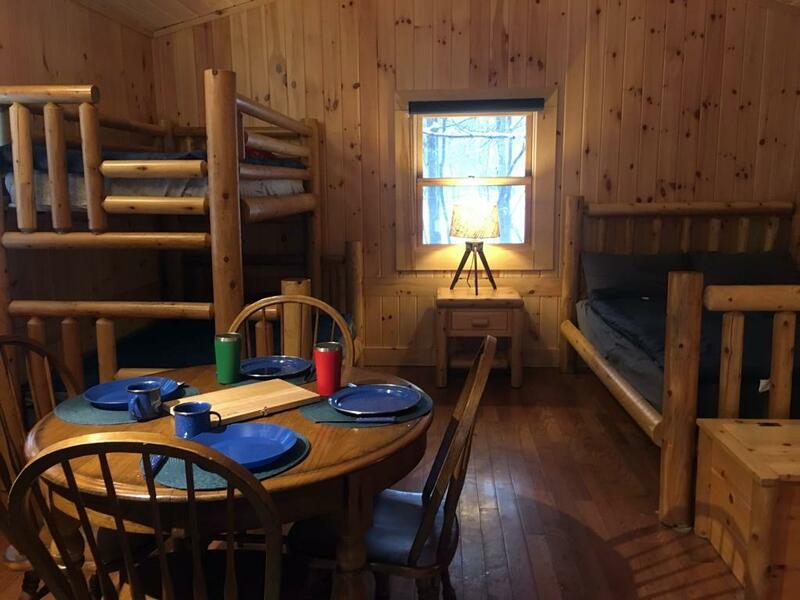 For winter enthusiasts wanting to stay overnight, cozy wooden cabins are available for rent. Don’t worry, there is a small fireplace inside! 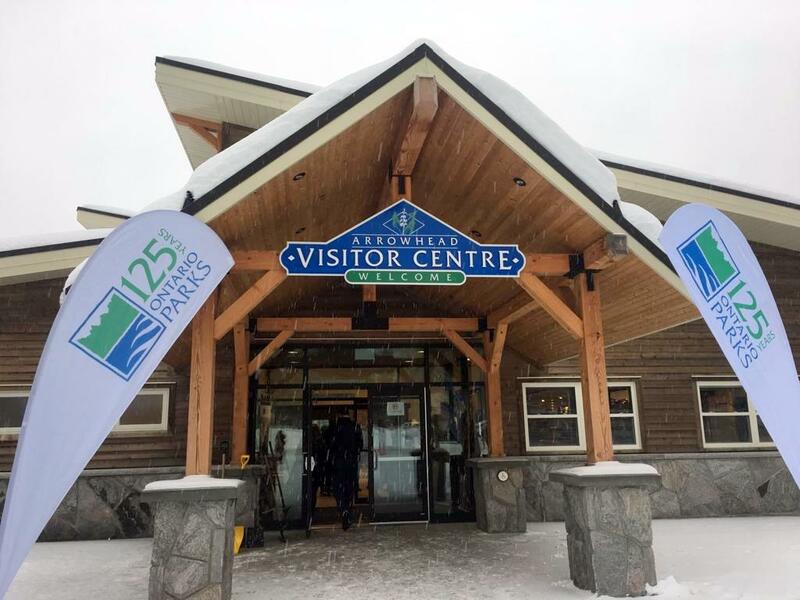 The Visitor Centre has been thoughtfully designed and built to be energy efficient while taking the little details into consideration appealing to the guests. There is LED lighting throughout and the building conserves energy. It features bird friendly windows that have white dots which prevent birds from flying into the building. The windows are also energy efficient. The floor is made of rubber which means its non-slip, for all those coming inside with snow-filled boots. 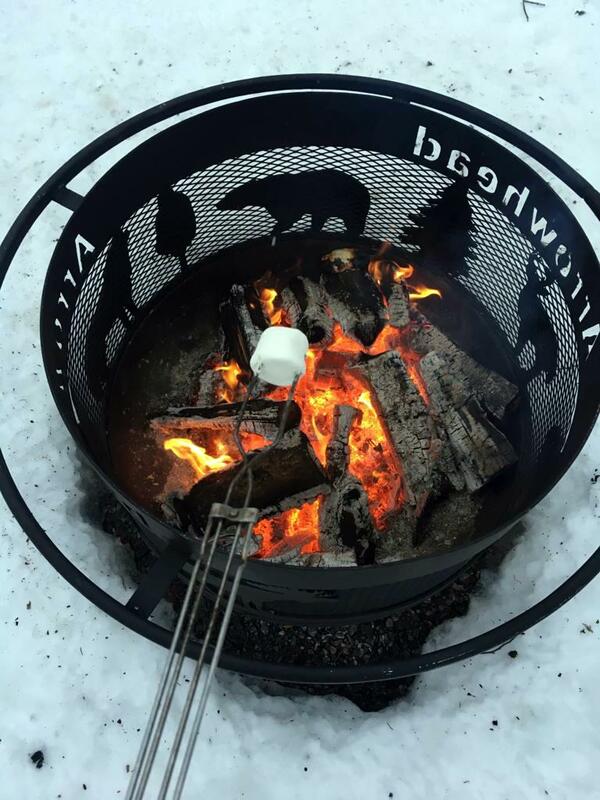 Roasting marshmallows in an outdoor fireplace making s’mores was the perfect ending to a beautiful winter day. What a wonderful way to kick off the winter season! 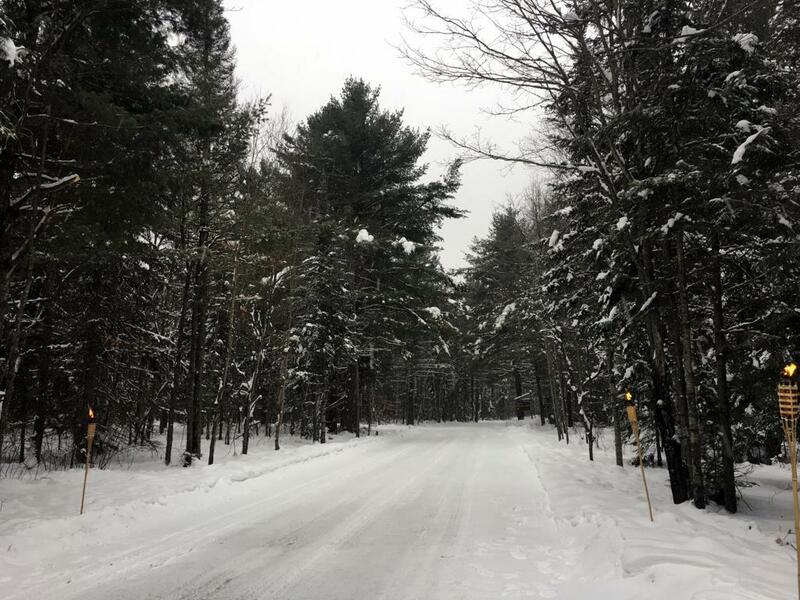 Check out Arrowhead Park yourself this winter!